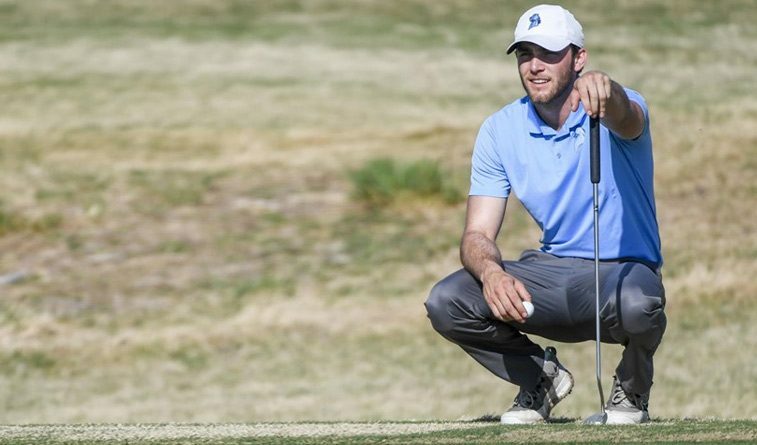 HAYS, Kan. (April 19) – Alexander Hughes shot a final-round 74 to lead Central Oklahoma to a third-place finish at the Tiger Classic that concluded here Tuesday. The Bronchos closed with 310 to finish the two-day, 54-hole tournament with an 896 total at the par-72 Smoky Hill Country Club. Central Missouri cruised to a 29-shot victory in the 11-team tourney with an 852, followed by Lindenwood (891). UCO and Northeastern State tied for third and Missouri Western was fifth at 905. It was the final regular season event for the Bronchos, who start post-season play next week at the MIAA Championships in Kansas City, Mo. Hughes tied for 13th in the individual standings after his final-round 74 left him with a 223 total. Cody Troutman shot 77, while Eli Armstrong had a 78, Nick Pierce an 81 and Holden Crago an 83. Troutman and Armstrong also finished in the top 20 individually, tying for 15th at 224. Wesley Jackson shot a 77 for UCO and Alberto Ruiz-Nava an 80 competing as individual medalists. Northeastern State finished with a 311 in the strong winds to tie UCO at 896 (298-287-311). The finish was NSU’s best of the season and they were led by Tate Williamson who was steady through 54 holes carding a 216 (70-72-74), and finished tied for third place overall. Williamson led the field with 14 birdies and matched his best finish of the season that was last set at the NSU Golf Classic in the fall. Ty Shelnutt who scored the course’s second lowest round on Tuesday with a 66, shot an 82 to finish tied for 13th place with a 223. Navid Majidizadeh, improved by a shot in each round to place 36th overall with a 231 (78-77-76), Garrett McDanielwas a stroke back tied for 41st place (75-74-83). Bryce Newton rounded out the NSU group with a 237 (83-75-79).